I Received a Restitution Order But Never Received Funds. What's Going On? Home » The Law & You » I Received a Restitution Order But Never Received Funds. What’s Going On? I Received a Restitution Order But Never Received Funds. What’s Going On? A viewer was injured in a drunk driving accident. The judge ordered a restitution order to pay the medical bills but the viewer has yet to receive anything. What happens now? 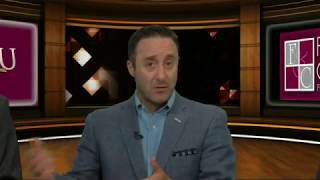 Car accident attorneys Greg Fellerman and Ed Ciarimboli explain. Dave Kuharchik: We are talking about a car accident in this edition of “The Law & You.” Once again, coming to you from The Virtual Law Center, attorneys Greg Fellerman and Ed Ciarimboli. Good to see you guys. Ed Ciarimboli: We love it. We love this, The Virtual Law Center. Dave: I tell you, we treat you top notch. Greg Fellerman: New mugs too. Ed: Yeah, you like the mugs? Dave: Look at this. Yeah. Greg: I’ve been talking about these for months. Dave: All around we’ve got it all here, including free legal advice for you. Here’s the question for tonight. Jim in Muncy says, “I was injured in a car accident and the guy who hit me was arrested for DUI. I received a restitution order from the judge for my unpaid medical bills but I never received anything. What’s going on?” For Jim, how can you help them out? Ed: Jim, you never received anything for your medical bills. I’m assuming that’s kind of what the question is saying. The individual who hit you has a responsibility to pay for your medical bills. Even if your healthcare company ultimately paid for those bills, you still have to on restitution. They paid for those bills as a result of somebody else’s negligence or recklessness, in this case a DUI. You have to make sure that you’re even protecting what’s called their segregation interests and trying to recover any amount of money that they paid for you. It is actually in your contract of insurance, your health insurance, when you fill out that form it will ask you if your injuries have been caused by a crash or a fall or something of that nature. Inherit in that is an obligation you have to protect your health insurance company’s interests. Greg: The good thing is you have a restitutional order and I can assure you that the defendant who hit you will not be getting off probation, or finish his obligation to the court, until your restitution’s paid. That’s the best way to clear this up. Go back to the court and get it done. Dave: And, of course, if you need legal advice or you’re in an accident you could give the guys a call, check them out online, and don’t forget results matter with attorneys Greg Fellerman and Ed Ciarimboli. We’ll see you next time. Ed: You got it Dave.